The start of the race was very dramatic, with a safety car intervention required almost immediately after the start when Vitantonio Liuzzi's Force India car mounted the Mercedes of Michael Schumacher, who thankfully was not hurt. The team had opted to run the two VR-01s with different strategies, Timo starting on the medium Prime tyre, and Lucas on the super-soft Option. Lucas elected to pit while the safety car was out, and the team performed brilliantly to get Lucas out ahead of the two HRT cars that he had followed into the pitlane. Timo stayed out and was battling to pass Jarno Trulli, until the Lotus suffered a broken front wing and Timo was set free. Unfortunately a few laps later his gearbox showed signs of failure and on lap 43 he was forced to retire. Lucas continued to drive a great race, effectively using only one set of tyres, but was unable to close the gap to Heikki Kovalainen and remained in 18th place until the end of the Grand Prix. Timo Glock: "The last race of our debut season was quite interesting. I had good pace and was able to keep speed with Lotus. In the end, unfortunately the gearbox got too hot and failed in the closing stages of the race, so it was disappointing but I still had a good pace and that is a reflection of how much we have developed the car over the year. I would like to thank the whole team and in particular my car crew. They did a very good job and I'm looking forward to working hard to get us in good shape for next year." 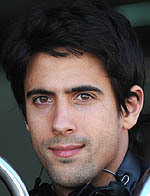 Lucas di Grassi: "A very unusual race with a safety car at the beginning. We decided to go for the pitstop straight away in order to change to the Prime tyres. We had to do more than 50 laps with the same set of tyres, which seemed like a difficult task, but we managed it. I am ending the year with a feeling of 'mission accomplished' - I did the best I could with what I had and only one or two mistakes during the whole season, so I feel that the effort and quality of my work have been much better than is reflected in the raw results. I would like to thank everyone in the team for this year. Everybody has behaved like a very close family, so well done to all of us for our first year in Formula One for us." John Booth, Team Principal: "The Option tyre was a bit of an unknown quantity today, so we decided to split our strategy and start one car on each type of tyre. Both drivers had strong races and we were in a good battle amongst the new teams. Unfortunately Timo's gearbox overheated, forcing him to retire soon after his pitstop. Lucas finished strongly, despite being on the same tyre for almost the entire race. I would like to congratulate the entire team on an incredible debut season. After a tough start everyone pulled together so well and I am immensely proud of the team we have all built together. It has been an honour to work with such a fantastic bunch of people. I would also like to thank our Partners for their faith and unfailing support. Cosworth provided us with a very reliable and competitive engine and it has been a real pleasure to work with Bridgestone in their final year of Formula One competition. We now look forward to our new partnership with Marussia and a very promising 2011."